Each month we have to share the projects we want to complete before the End Of The World. Measi always gives us a topic to discuss too. January - Introduce yourself, your projects, and any goals you have for the year! Each day I start a new block and stitch one length of thread there and then stitch one length of thread on each of the previous days' blocks. You can see that Day 1 and Day 2 are building quite nicely now. She is a finish! Kind of, I haven't attached the beads or stitched the metallic around the border. My next immediate goal is to focus on the Partridge in the Pear Tree for January's post on the Christmas Ornie SAL Blog. The Angel is for December's theme, only one day late! 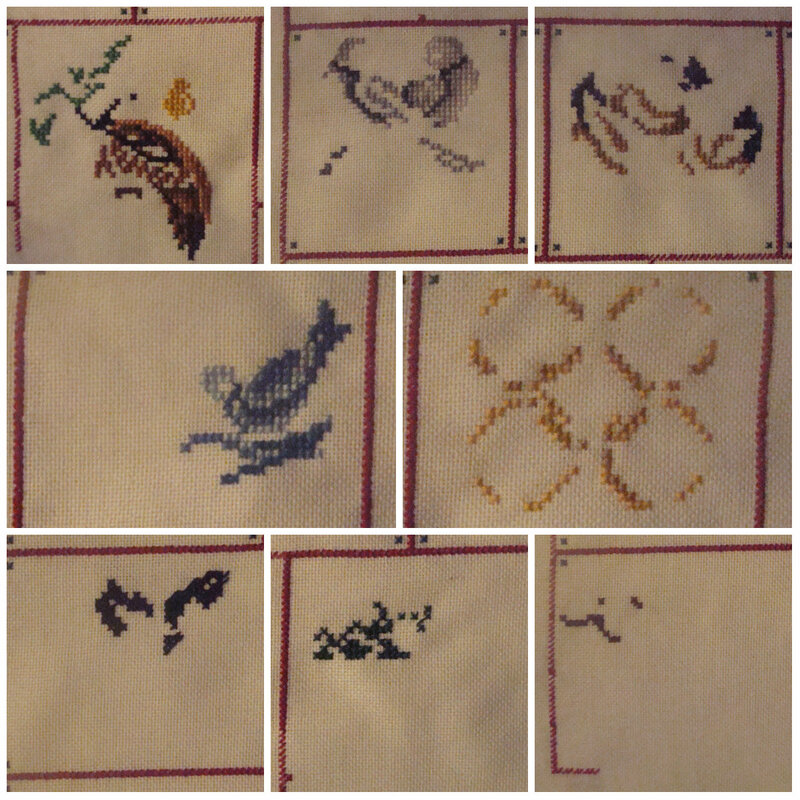 I started another SAL today; this one is for the Ten-a-Day group, also on FB. The idea is that you chose a design of roughly 3,600 stitches (60 x 60) and stitch a mere ten stitches each day to finish it within the year. stitched on 32 count Light Mocha linen. I had to search for the group on FB this morning to post my progress and unfortunately the logics behind the internet decided that meant I wanted to see Tena adverts all day! Thank you very much to the person who named this SAL with such humour. When you are watching FlossTube you really don't want to keep seeing the Tena Man advert every new video! Measi has made one change to WIPocalypse this year. Instead of following the moon cycles, we will now post on the last Sunday of every month. She is still doing the Discussion Topics which I am very pleased about. I love a chance to chat and to find out more about my fellow bloggers too. Finally, I will be continuing with the ever popular Blog Hops this year. 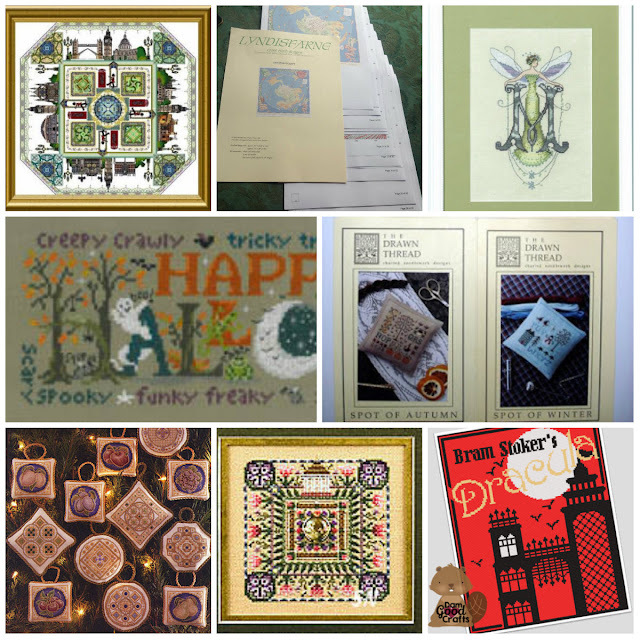 We will have Valentine's, Easter, the return of the Summer Postcard, Hallowe'en and the Advent Calendar. All at the appropriate time of the year. I will be posting about the Secret Stitching Sweethearts for Valentine's Day very soon so watch this space. A good plan for the entire year! I look forward to its implementation! 17 nice projects to watch grow over the coming months. Your finished angel does look effective. I look forward to continuing to follow your progress on all your projects during 2017! Happy New Year! I love all 17 designs, and your Angel finish is beautiful! I am looking forward to seeing your progress on your chosen projects. Looks like a good plan. That Ten-A-Day sounds like fun and will be fun to watch. Love your plans Jo. Look forward to seeing your progress and your blog hops! 12 Days looks great Jo. I thought about that Ten-a-day SAL but that would drive me crazy. Love you list this year. It will be fun to watch all your progress this year. The angel is so beautiful. Jo: All your choices are wonderful, I look forward to seeing how you are progressing. Looks like a great plan! Ilook forward to seeing your progress. Phew! Some mega shoehorning is planned I think! Looking forward to seeing some of these, especially your gorgeous Chatelaine. Bwa ha ha! I knew the Tena thing would come back to haunt you. Great plans! I will enjoy cheering you along. I had to look up Tena Man to see what it was. LOL Thanks for sharing your advertisements. A lot of interesting stitching projects Jo. Happy New Year. Happy New Year. Interesting mix of projects on your list. I love the projects you have for 17 in 17, especially the first one. Lovely angel. What a great idea "Ten A Day" is. 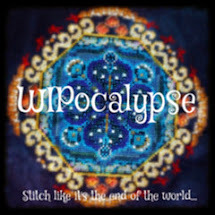 I think I may have to borrow that and maybe sneak in another project on my WIPocalypse rotation. I wish I could really be organized (I'm trying) enough and figure out what I want to accomplish this year. I just tend to go with the flow and see what happens! You have some great plans for the year - a nice mix of ongoing projects and new starts too! And some great progress on 12 days already. Your list is very impressive and there are some real big ones on it. I'm looking forward to seeing your progress on all these projects. Your 12 Days are progressing beautifully and the angel is already finished. I had already read about the Ten-a-Day group on another blog. Seems to be a very popular strategy but you really have to be disciplined enough to put the project down after ten stitches. That's why I could never join in, lol. Happy New Year! 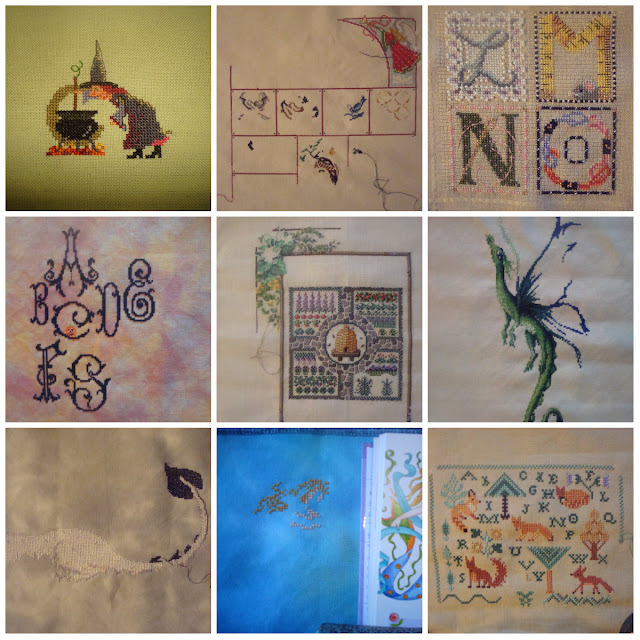 You've got some great stitching projects going. Looking forward to see your progress as the year moves along. The Angel looks lovely Jo, good luck with your plan... You may have possibly inspired my decision to do 17 this year! What a list! The last one looks very interesting. Cheering you on with your 17 in '17! Great list of goals for 2017! Lovely stitching too. The angel is so pretty!